the Polabian deity of war, fertility and abundance. List of Slavic baby names, Slavic babies names, Slavic baby names and meanings has been compiled from various resources. Please use this up to date list of Slavic name as a reference to name your kid/child. This vast database of Slavic names has been compiled from various references and suggestions provided by our web site users and resources partners. This information is developed to primarily serve as a reference. We are unable to respond on request for personalized assistance at the moment. Thank you for your support. 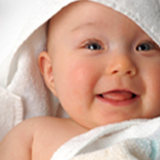 Largest list of Slavic baby names with meanings, numerology, popularity and comments.